A SMARTER, MORE COST-EFFECTIVE AND FLEXIBLE ALTERNATIVE TO THE WAY PAYROLL IS DONE TODAY. GLElite pay card is a payroll payment product that would offer an innovative, secure and flexible method of salary reimbursement for companies; it’s a unique product that would offer more options to businesses and their employees. GLElite and GLElite Family payroll solutions will streamline and simplify your payroll payment process and cheque disbursement for all classes of employees; temporary and/or contract workers, part time employees, unbanked and/or foreign seasonal personnel and remotely located members of your work force. 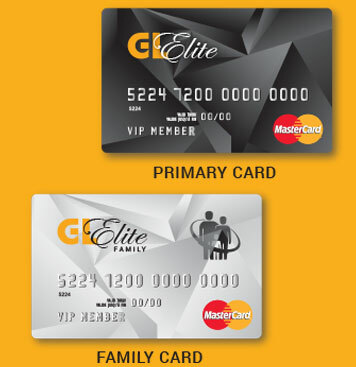 GLElite cards can be used to reward employee behaviour whilst increasing company reputation and profitability. Milestone & sales performance recognition is sure to increase employee loyalty and motivation with the flexible solution of prepaid pay cards. This payroll pay card is similar to a traditional debit card and acts as a bank account for the employee. It’s a cost saving, revenue enhancing alternative for employee motivation. Reduce cost & improve efficiency on payroll processes; saving hours of manpower on cheque disbursement. With MasterCard® worldwide acceptance, this payroll pay card is ideal for anyone looking for a simple global incentive solution. *Charges may apply. Please contact us for more information.